"Cities and their surrounding metro regions are the real economic engines of our time. Bringing together talented, ambitious people and the assets they need to succeed, cities propel the innovation and enterprise that spur long-term prosperity. Economists increasingly argue that clustering, concentration, and density stand alongside land, labor, and capital as key features that shape economic growth. " Maybe he's right. 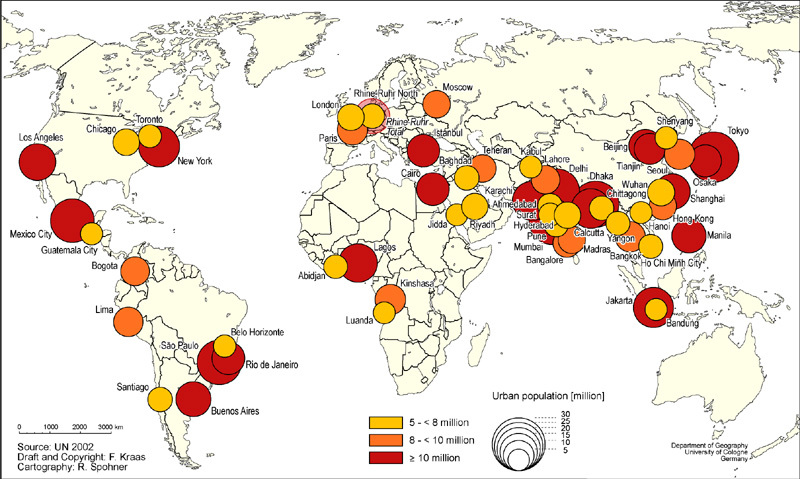 We can quibble about the index criteria and which cities were selected, but what if the premise is correct - that we need to think of the global environment not in the context of continents, regions or countries - but rather as metro areas? How does that affect strategy? Should international business development efforts focus on cities primarily? Include metros as a category of focus? Are major metro areas distinct markets from an export planning perspective? Interesting questions to ponder. Check out the slides of the selected cities here. Interested in adjusting your internationalization strategy to consider the metro dynamic? Just starting to export of have some pesky problem that is calling out for outside assistance? Consilium Global Business Advisors helps companies profitably grow international business.